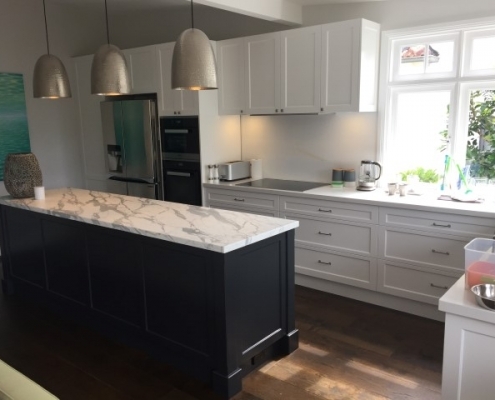 Want a Beautiful New Kitchen? amazing kitchens, bathrooms and built in robes. 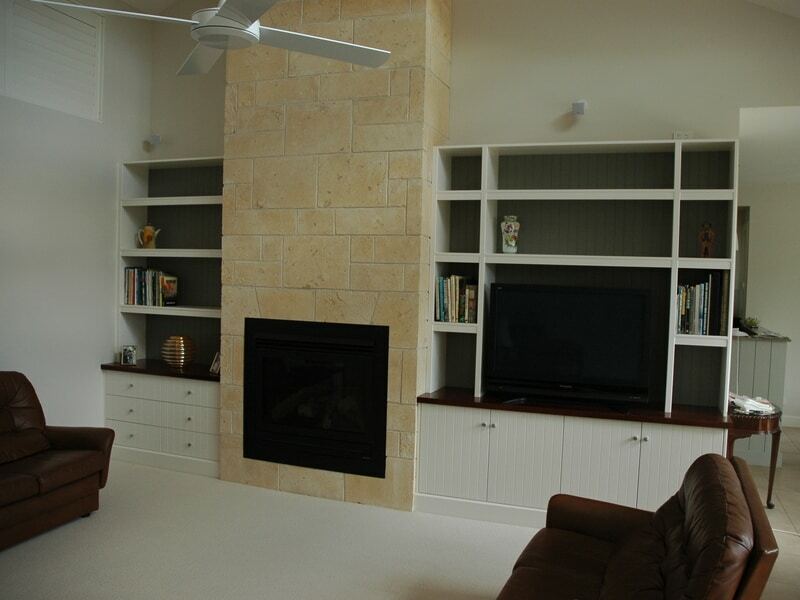 Affordable custom cabinetry since 2001. 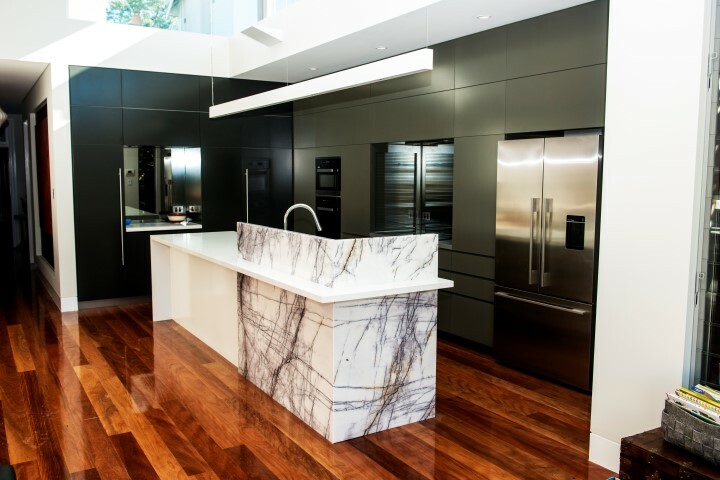 Design and construction of your amazing new kitchen starts here. Whether you are looking for a whole new kitchen or some renovation help David will provide solid advice and quality workmanship. Bathroom renovations can be stressful. We can custom design and build your dream bathroom vanity, bathroom storage exactly fit your space, and provide the storage features you’ve always wanted. Good functional storage is so important. 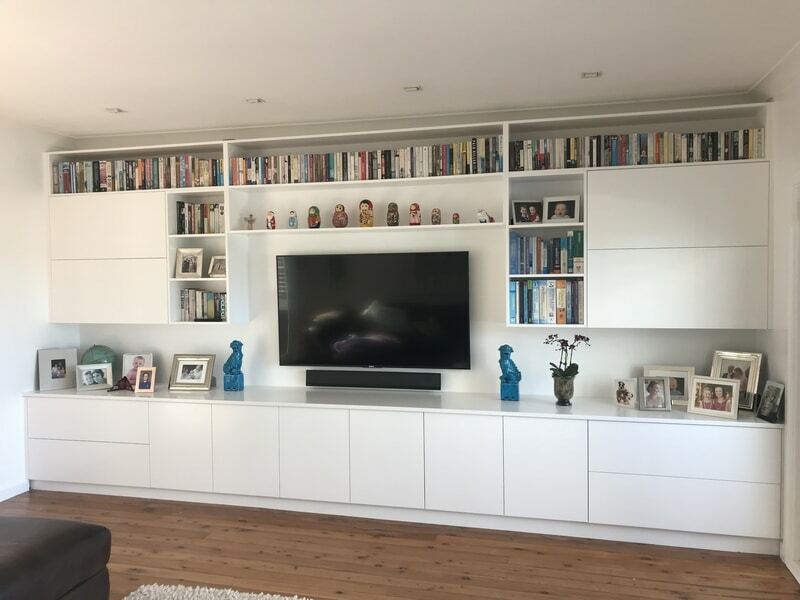 From bookcases to bespoke TV entertainment units, we design and construct and install your custom storage solution. 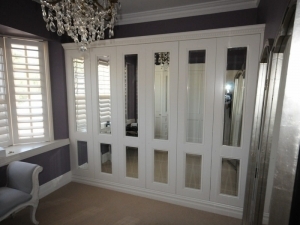 Built wardrobes can have so many clever features today. 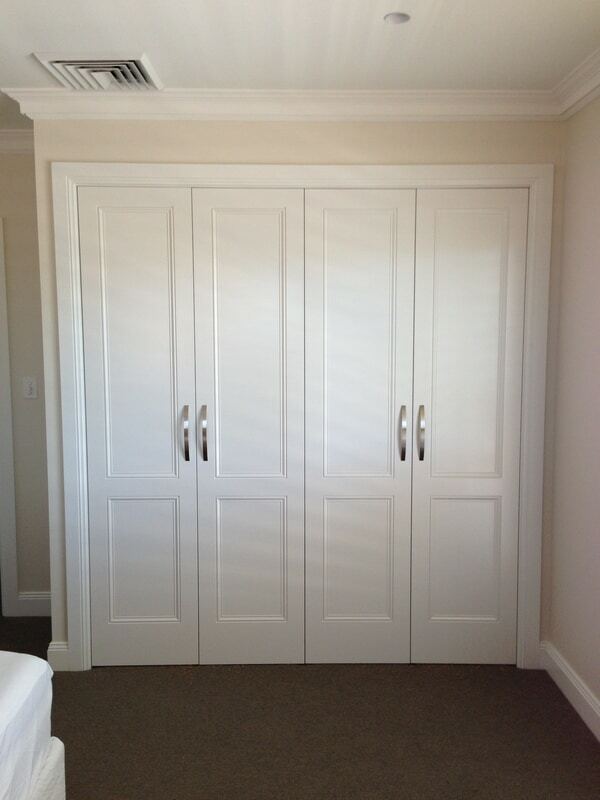 Talk to us about your custom walk in wardrobe, built in wardrobe or sliding door wardrobe. How do I organise a quote for my project? 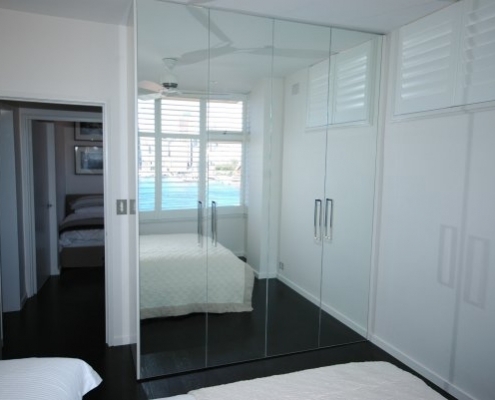 The best way is to contact us by here or by calling Dave on 0419 430 575. 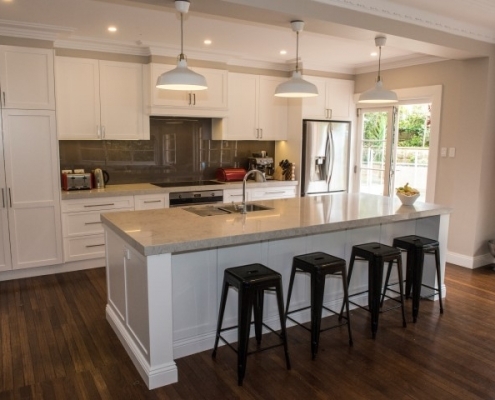 As rule a full custom kitchen takes 5-6 working weeks from the date of receiving your deposit. Most other smaller jobs take 3-4 weeks. Who is responsible for plumbers, electricians and associated building work? We have a team of quality tradesmen that can do all your plumbing, electrical and building works. Yes, you can use your own plumbers, builders and electricians if you prefer. Alternatively we can organise reliable quality tradespeople for you, in which case their charges will be included in the overall quote. What sort of hardware does Cutting Edge Kitchens use? 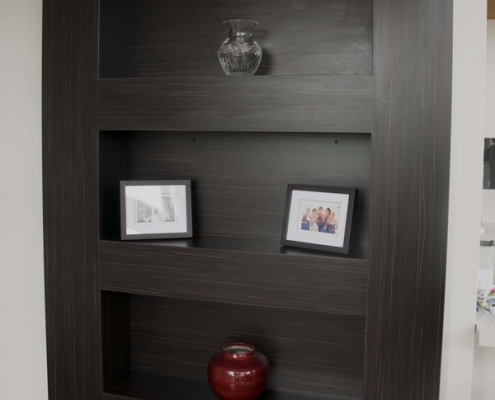 We use only quality German made Blum products which come with a full lifetime warranty. We also use Hafele and Hettich hardware where appropriate. Kick boards are an essential part of most built-in cabinets and joinery. We only use plywood for our kick boards. 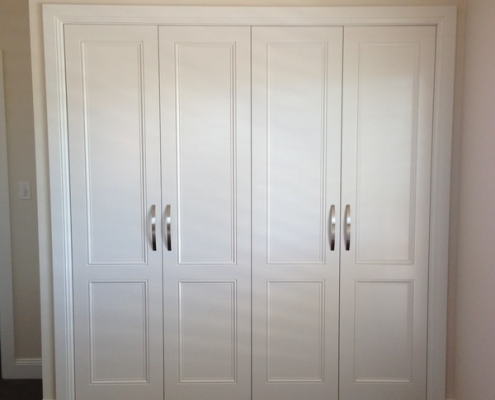 This protects our customers from water damage issues encountered by other cabinet makers. 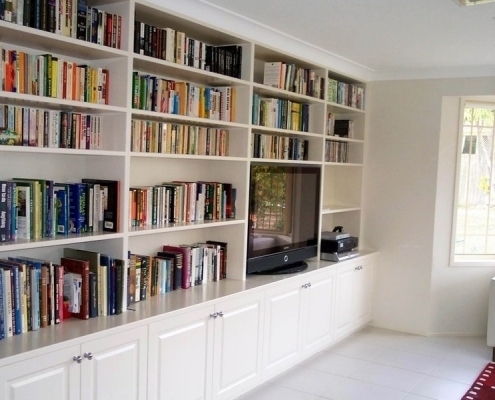 We pride ourselves in providing a fully integrated moisture proof base to our cabinets. Cheap plastic adjustable legs are not used. 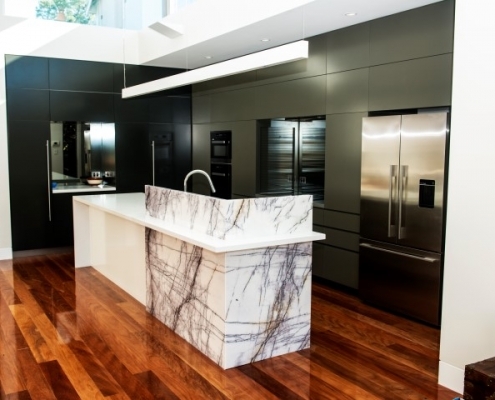 It is quality and attention to detail that makes Cutting Edge Kitchens top quality. What sort of doors are available? 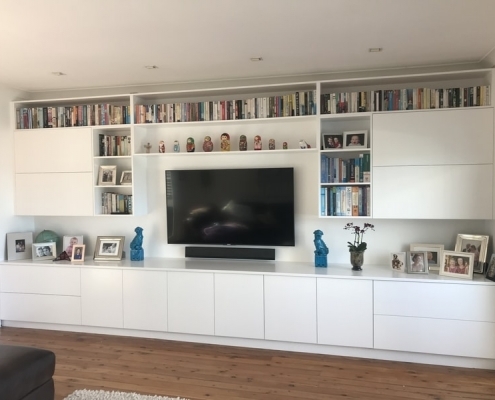 There are many different types of doors including solid timber, timber veneer, laminate, recessed panel, vacuum form, polyurethane, melamine or craftwood are just some of the options we can supply. 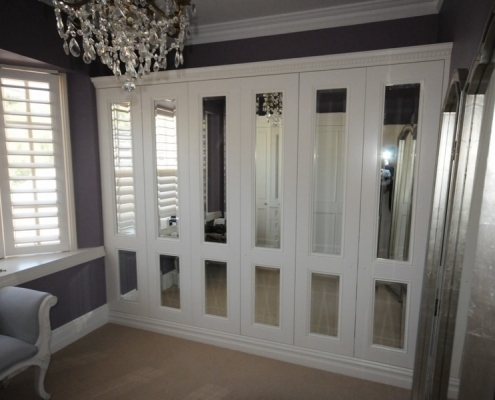 Many advances in technology have improved older types of doors previously seen as ‘cheap’ to high end finishes. 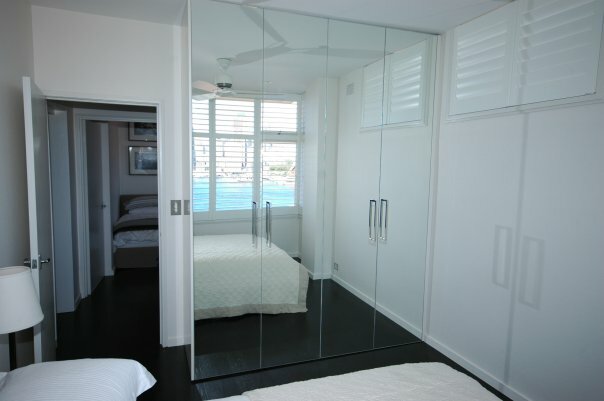 Can I have sliding doors on my wardrobe? 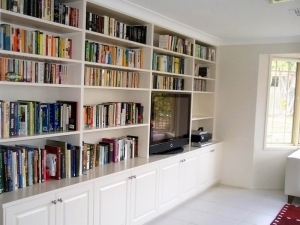 Yes, you can, but as custom cabinet makers & joiners, we believe there are better options. Talk to us to find the best option for you. What is the best material for a kitchen bench top? 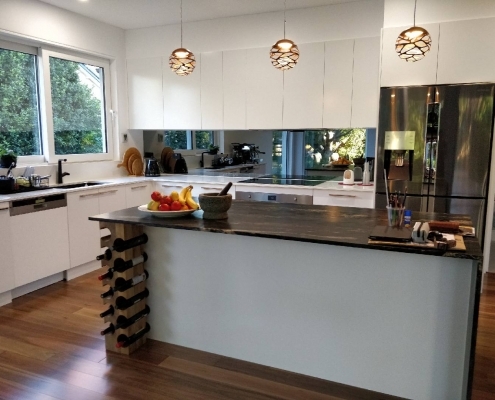 Often, kitchen bench top selection comes down to your budget. As a rough guide, laminate is generally the cheapest option. Granite and marble are the most expensive. Caesarstone typically falls in between. Bench top thickness can be a significant factor in cost, as well as waterfall ends and other custom detailing. Talk to us about your dream and we’ll help you find the most affordable bench top solution. Is laminate still a durable alternative? Yes, it is. 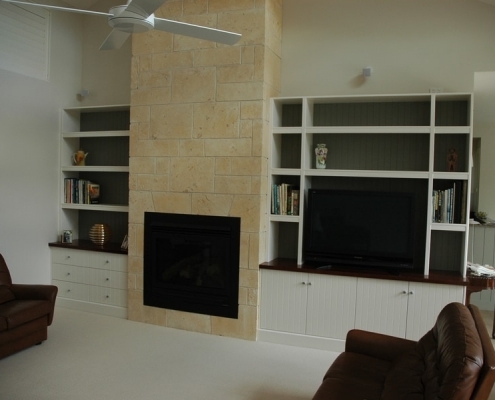 While not being as hard wearing as stone tops, it is still very scratch and stain resistant. Usually “dimensions” or “diamond gloss” finishes are the most durable laminate bench top. 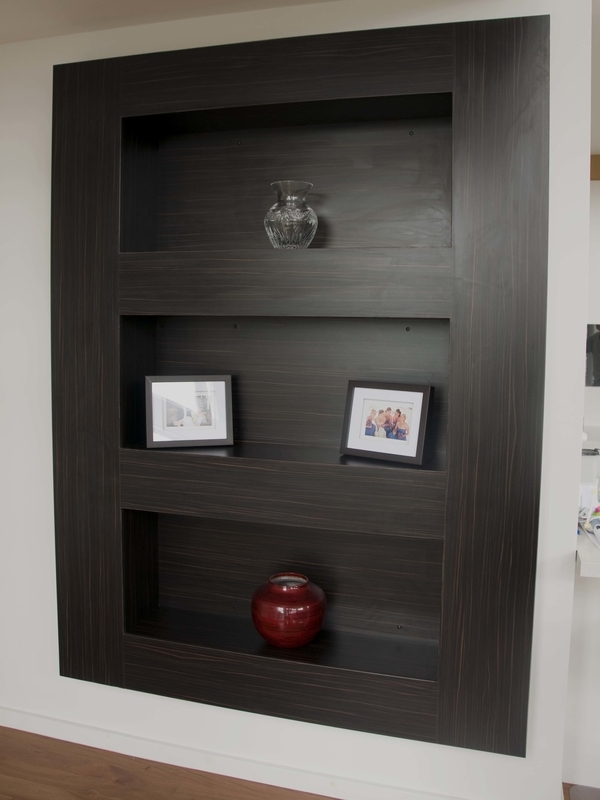 You can view finishes and colour samples at Laminex or Formica. 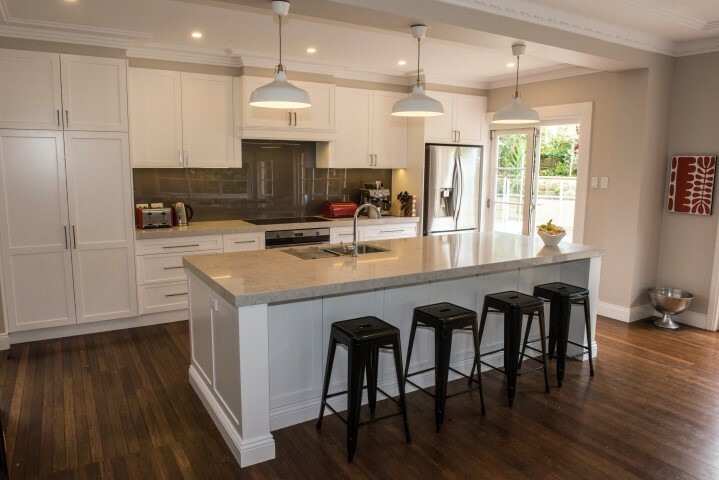 Caesarstone is a quartz based man made stone used in bench tops for kitchens, bathrooms and laundries. It can be installed horiztonally (flat) or vertically (on ends). Are there other brands like CaesarStone? Yes there are many other suppliers of this type of bench top. 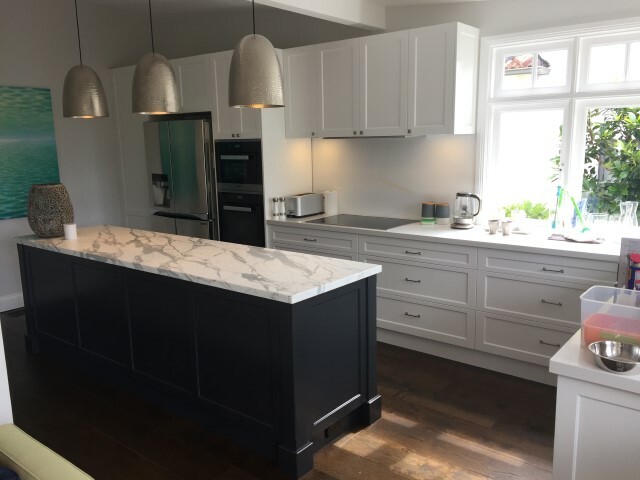 Quantum Quartz, SmartStone and Silestone are just a few. They are all similar quality as CaesarStone. 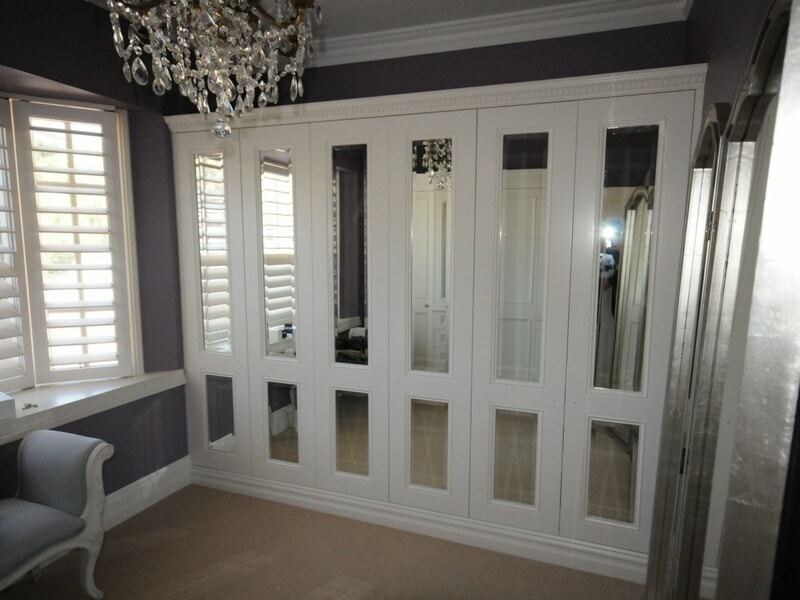 If you like a particular finish or colour, please let us know. 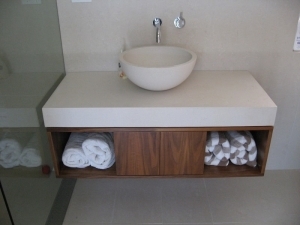 Can stone or Corian bench tops be repaired? 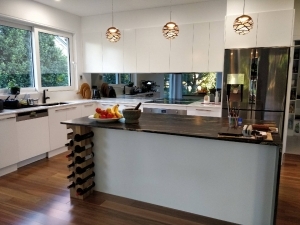 Acrylic bench tops such as Corian, Quantum Quartz, CaesarStone and Laminex freestyle can usually be repaired with good results. Naturally occurring stone and marble bench tops can be repolished, but cracks and chips generally cannot be repaired. What is a Corian Bench Top made of? Corian is a high-end man-made acrylic and mineral bench top material. It is able to be formed into different shapes and moulds. 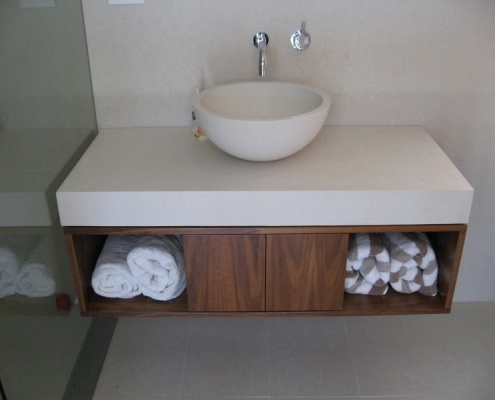 When you see a sink moulded into the benchtop, it is mostly likely made from Corian. It is not very heat resistant so is not ideal around stoves. Also, whilst easily scratched, it does buff up well. Polyurethane is a spray painted finish similar to the paint on your car. It is applied with a spray gun and then baked. It is available in any colour imaginable. It is very durable, but like any paint is susceptible to small chips and scratches if treated badly. Can polyurethane doors be repaired? Yes, polyurethane doors can frequently be repaired. Small touch up kits can be purchased or an entire door or panel can be resprayed. This one reason why polyurethane is such a popular choice. Polyurethane can be mixed and sprayed in any colour under the sun. The easiest way is to choose a colour is from a colour chart such as Dulux, Wattyl or one of the many online colour palettes available. How do I clean a polyurethane surface? Warm soapy water and a damp cloth, or spray and wipe are the best ways of cleaning. Never use abrasive cleaners as these will scratch the finish.